The KNEE, and other related things. Wish I'd started keeping track of how many times a day I get asked: "How's the knee?" "How's the leg?" "Are you in pain?" "How long 'til you're back to 100 %?" Oh I know, I know. Normal questions concerned people ask, much like a pregnant woman hearing, "What's your due date?" "Is it a boy or a girl, do you know?" "Got any names picked out?" Except my knee won't wake me up crying at 3:00 a.m. Doesn't seem as bad when I think of it like that. The answer to the knee question today is it hurts more than yesterday. What's up with that? Could be because I'm getting overly confident, walking without a crutch more and more when I should consider giving that another week, at least. I just hate crutches. They're awkward, I barely know how to use them, and no matter how careful I am when I set them somewhere – once I'm comfortably seated – they inevitably fall. If this is at home it scares the dogs to absolute death, translating into them giving give me wide berth when I walk around the house with a crutch under my arm. The power! Since my knee is a little more sore today, and because I don't have to work 'til this evening, I'll make the supreme sacrifice and lie in bed all day, reading. I have two book groups to moderate this week, so it isn't really an indulgence. Well it is, but it isn't. Rest and recuperation, catching up with work duties, can either not be milked claimed an essential task? And what am I reading for my two book groups? Glad you asked. Verdict so far? BLECH! Three sisters, native Australians, having been estranged for three years come together for their grandmother's 80th birthday. Stupidity ensues. God help me get through this one. Like this one. 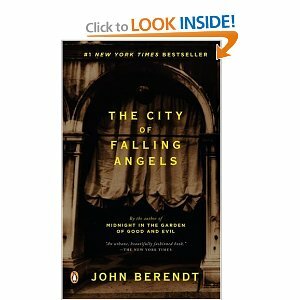 It has interesting tidbits about various eccentrics who've lived in Venice, set against the backdrop of the day the opera house, La Fenice, burned to the ground (the day before the author arrived in Venice to write his book). Not great, but an okay read. 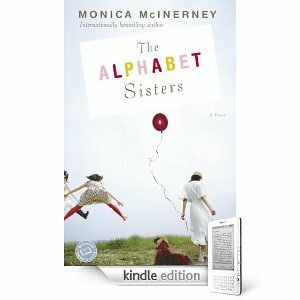 Keeps my interest much better than those insipid alphabet sisters, that's for sure. That pretty much sums up my exciting day, unless you want to hear about the almost certainly stress-related patch of eczema that's appeared on the back of my neck. And if you do, you may want to examine how sad your life has become and think about reasons to get out of the house.